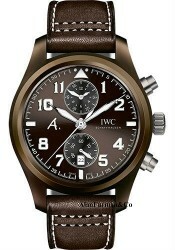 In 1868, an American engineer and watchmaker, Florentine Ariosto Jones, founded the International Watch Company (IWC) with the objective of merging the craftsmanship of the Swiss with the modern engineering technology from the U.S. to produce movements and watch parts for the American marketplace. Jones met Johann Heinrich Moser in Le Locle where he showed him his plans for the business. Moser found great interest in his plans for the International Watch Company. Together, they laid the foundations for the only watch producers in north-eastern Switzerland: The International Watch Company in Schaffhausen. In February of 1880, Johann Rauschenbach-Vogel, Chief Executive Officer and a machine manufacturer from Schaffhausen, took over the International Watch Company. 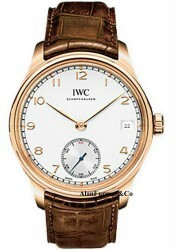 Since then, four generations of the Rauschenbach family have owned IWC. First was Johann Rauschenbach-Vogal’s son, Johannes Rauschenbach-Schenk, who took over just a year after his father did, due to his death. J. Rauschenbach-Schenk died in 1905, so his wife, two daughters and their husbands, Ernst Homberger and Dr. Carl Jung, took over the watch factory. In 1915, two newly developed calibers, the 75 and the 76, were created. 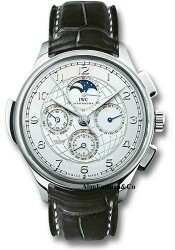 They were the first movements designed by IWC specifically for wristwatches. 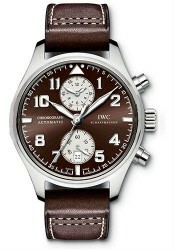 In 1936, IWC launched its first Special Pilot’s Watch. This new watch features a rotating bezel with an arrowhead index that can be used to register take-off times. 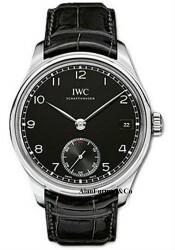 It is also fitted with an antimagnetic escapement. 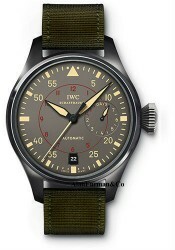 This watched was followed by the Big Pilot’s Watch 52 T. S. C. with a central seconds hand in 1940. 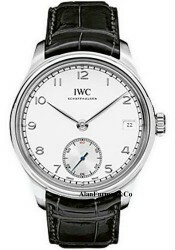 In 1955, Ernest Homberger’s son took over IWC. Hans Ernst Homberger was the last of the Rauschenbach heirs to run the factory. He bought new machines to meet new demands and continuously brought his production technology up to what were considered the very latest standards. Homberger, at the age of 77, died in 1986. 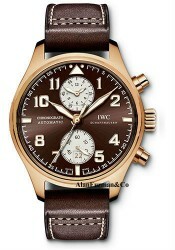 IWC continues to make magnificent timepieces that are sold world-wide. 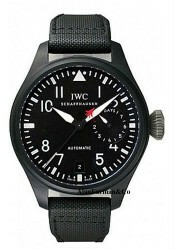 We sell the full line of IWC watches at greatly discounted prices. 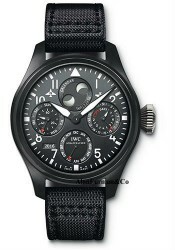 All IWC watches are new and come with a 2-Year Parts and Labor Warranty.